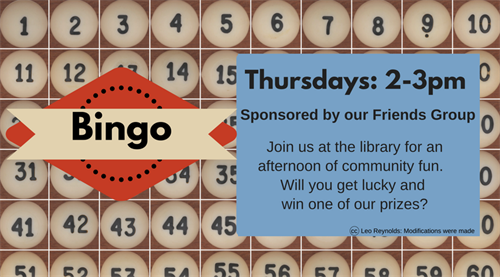 Try your luck at our weekly bingo! Join us at the library for an afternoon of community fun. There will be prizes won with every round. Prizes are graciously provided by the Friends of the Sauk City Library.